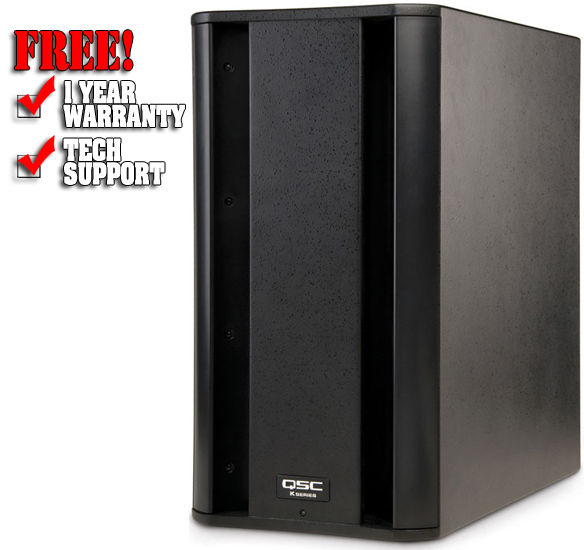 The QSC KSub Powered Subwoofer is the ideal supplement to QSC K Series 2-way speakers for live reinforcement of bass instruments and drums, or higher-level playback of recorded music. Its 1000W Class-D power module never fails to deliver. The KSub subwoofer's M20 threaded pole socket (pole included) provides a secure, wobble-free method of elevating a mid-high speaker over the subwoofer. 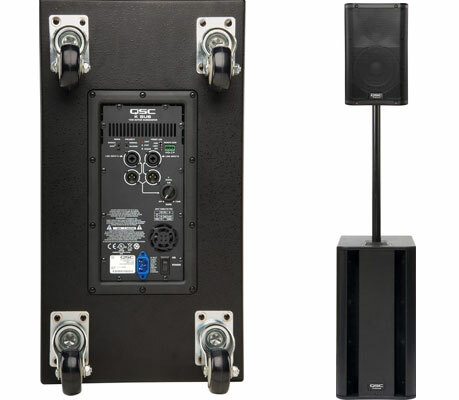 The KSub subwoofer's compact footprint won't take over the stage, dance floor, or seating area of smaller venues. A pair of high-power 12" speakers in an optimized band-pass enclosure will handle everything the 1,000-watt power module can give them. 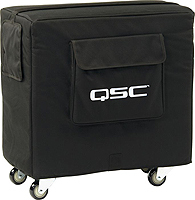 Compact in size, the QSC KSub has ergonomically designed handles and 3" noise-free casters ease load-in and load-out.